This will be one of the hardest subjects I’ve ever had to put into words. In the world this damage inflicted upon others is called emotional or psychological abuse, but in the church we call it spiritual abuse because it goes even beyond the psychological, emotional and physical condition – it affects even a person’s spiritual state and relationship with God. It’s what Jesus might have considered laying a stumbling block before someone. This will be no easy endeavor and as always, my desire at JNwheels.com is to give God glory. Over the last several years, I have spoken to countless people who have suffered spiritual abuse and yet felt as though they had no one who would understand, and As it is with most of them, they themselves do not know how to put what they had been through into words. It is very hard to put emotional, psychological and spiritual trauma into words because the abuse has happened to you in a passive-aggressive way. It happens more subtly then a verbally abusive relationship but it is no less destructive to a believer’s view of God and themselves and the church that they once loved so passionately. The effect of spiritual abuse on a believers life is one that damages, if not kills a person’s love for the church and God. It leaves the abused person bewildered, confused, and psychologically damaged in their view of God due to the unfair and ungodly treatment from the abuser or the leadership in the church, or the congregation that does the abusing to the leader. How do you put such a thing into words? Find out soon on the 3M podcast. 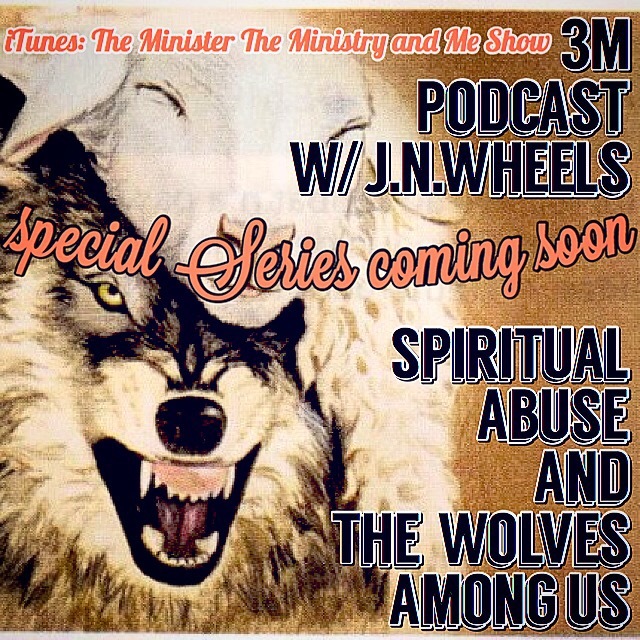 Simply search for “the minister the ministry and me show” in iTunes or on your podcast app or you can find it under the 3M podcast tab on this site.